You’ve always taken the best care possible for your mouth. 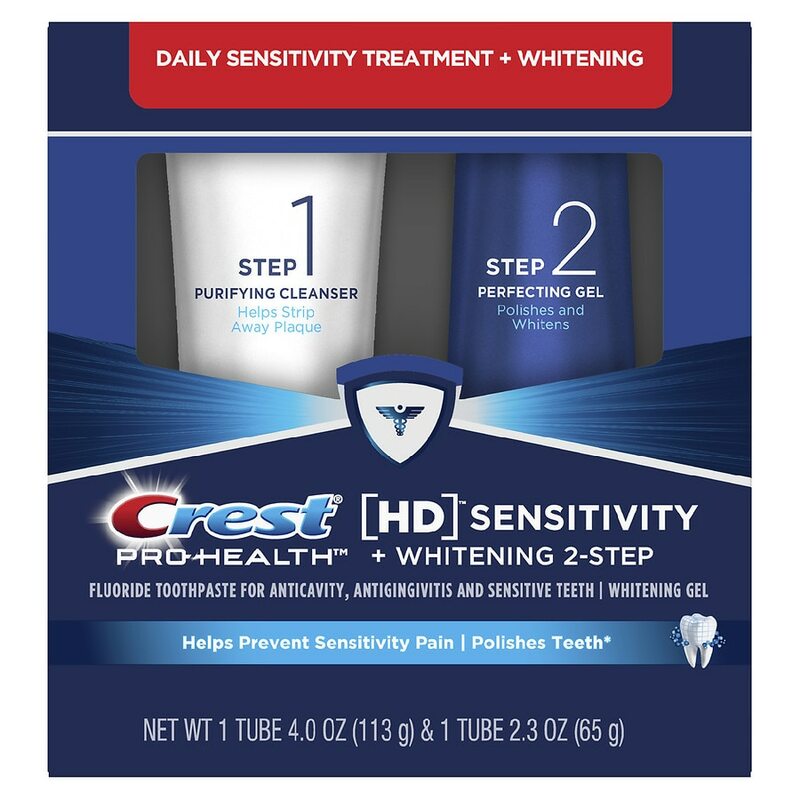 Now, you can upgrade to the new Crest HD daily two-step toothpaste system. We’ve isolated ingredients to deliver superior results with a Purifying Cleanser and Perfecting Gel. Step 1 strips plaque away, and Step 2 polishes and whitens for an amazing experience that lets you feel the difference from first use. 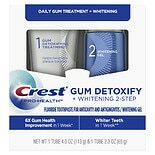 Try it today, and upgrade to a more luminescent smile* with 6X healthier mouth** & 6X whiter teeth* in 1 week. Step 1: Active Ingredients: Stannous Fluoride 0.454% (0.15% W/V Fluoride Ion). 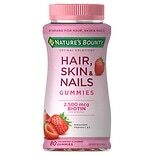 Inactive Ingredients: Glycerin, Hydrated Silica, Water, Zinc Lactate, Sodium Lauryl Sulfate, Trisodium Phosphate, Flavor, Sodium Gluconate, Sodium Saccharin, Xanthan Gum, Cellulose Gum, Sodium Hydroxide, Mica, Titanium Dioxide, Blue 1 Lake. Step 2: Active Ingredients: Water, Glycerin, Hydrogen Peroxide, Carbomer, Disodium Pyrophosphate, Flavor, Sucralose, Sodium Hydroxide. Adults and children 12 yrs. & older: Brush teeth thoroughly, preferably after each meal or at least twice a day, or as directed by a dentist or a physician. Do not swallow. Children under 12 yrs. : Ask a dentist. Brush with Step 1 for 1 minute to help strip away plaque. Spit; however, do not rinse. 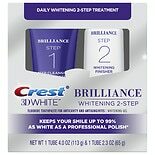 Add Step 2 to your toothbrush and keep brushing for 1 minute to polish and whiten. Spit and rinse to reveal your HD smile. Use morning and night. Keep out of reach of children under 12 yrs. of age. If more than used for brushing is accidentally swallowed, get medical help or contact a Poison Control Center right away. You may experience temporary signals with the use of this breakthrough system, such as: white spots on gums or other soft tissue, and/or oral discomfort. These signals are temporary, and not harmful. If oral discomfort persists, discontinue product use. Aids in the prevention of cavities. Helps prevent gingivitis. Helps interfere with the harmful effects of plaque associated with gingivitis. Helps control plaque bacteria that contribute to the development of gingivitis.